Fluff and soften baby's laundry with this plant-derived fabric softener. 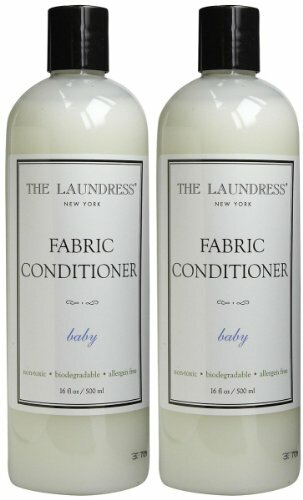 Gentle on delicate skin, this allergen-free conditioner is the perfect complement to The Laundress' Baby Detergent. Decreases drying time, reduces wrinkles, and eases ironing while eliminating static cling. A favorite of the entire family, The Laundress' Baby scent is a soft and calming blend of vanilla, musk, lily of the valley, lavender, and sandalwood.